There isn't a lot to show for this one. It was a very early costume, before I really started taking many pictures of the process. In fact, it was a challenge to dig up the one good photo that I have of it. 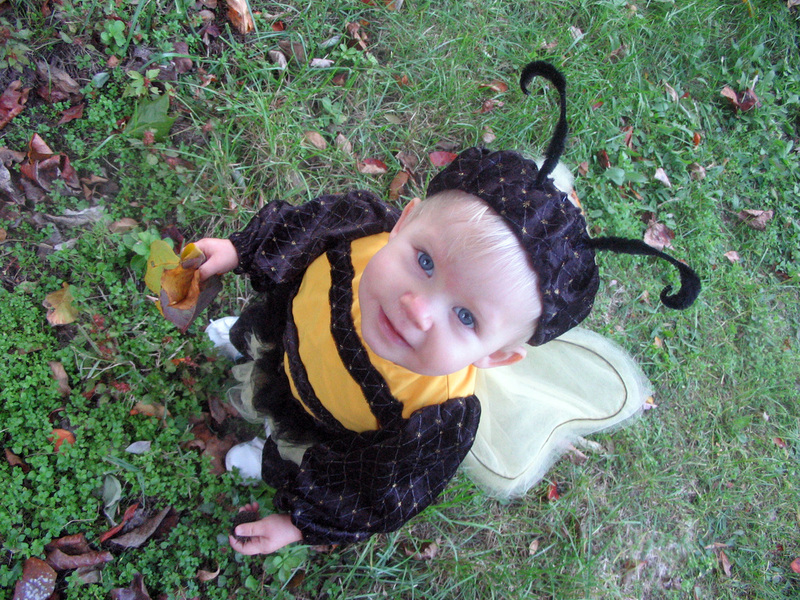 I stumbled across the cutest little pattern for a bumble bee costume. Not that I use patterns very often, because I don't understand half of the symbols and markings on them. But the picture gave me ideas. I love the criss-cross gold on the black velvet that I found. This was the first costume that I sewed for my daughter from scratch. She wore pieces of this for years after, and even dressed her brother up in it at one point.